Breast milk sharing is rapidly gaining popularity in NZ, and for good reason. 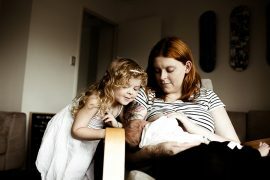 Everyday Kiwi women who are complete strangers are connecting through the Facebook page Mothers Milk NZ, where women can both donate and seek out breast milk for their infants. Mothers Milk NZ is not only a great village of support for new parents, it also gives another option to formula where cost is no barrier. For parents that cannot provide breast milk for their infant but feel strongly about exclusively feeding their baby breast milk, this option can feel like a blessing. There are polarising opinions about breast milk sharing. This can lead to parents seeking donor milk in secret, feeling that many people will judge them with their differing opinion that it is disgusting and wrong. However, not all of us feel this way, and alternatively, know that breast milk is the ideal food for all babies and is the biological norm. Sharing of breast milk is not a new phenomenon. It was a standard practice in hospitals up until 1975, when the rise of HIV and the introduction of formula resulted in the shelving of this practice. Wet nursing was also practiced, and still is in some cultures, where family and close friends will feed each other’s babies from the breast for convenience. Historically, wet nurses were employed by wealthy families when mothers did not want to suffer what some perceived as the indignity of breastfeeding. 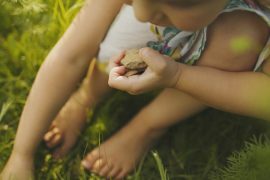 The health benefits of breast milk are of specific importance for premature infants whose mothers desperately want to provide breast milk for their infant in the NICU (Neonatal Intensive Care Unit), but physically cannot produce milk in the volumes and the time that is demanded of them. Donor milk is treated like gold in the NICU due to the protective components of breast milk. These include immunoglobulins, anti-bacterial and anti-infective proteins as well as the many oligosaccharides which provide bioactive factors, prebiotic, immunomodulatory and antimicrobial effects. Immunocompromised, premature infants are transitioned onto milk feeds quickly, to protect their vulnerable digestive system from a serious medical condition called NEC (necrotising enterocolitis) that is associated with high mortality and morbidity rates. Donor breast milk is also hugely beneficial in aiding the rapid growth for these babies which is required for their progression through the NICU, and therefore earlier discharge home with their caregiver. The first New Zealand milk bank was opened in 2014 in Canterbury to provide breast milk for babies whose mothers are unable to provide their own, and priority is given to this group of vulnerable infants. Due to the success of the Canterbury Milk Bank, more funding has become available and another milk bank could potentially be opening in Auckland. Donor milk is pasteurised to prevent transference of disease from donor to recipient by heating the milk in a water bath to 62.5 degrees for 30 minutes and then quickly chilling the milk to 4 degrees. Miraculously, this time and temperature combination does not destroy all of the immunological protective benefits of breast milk. Donor milk banks ensure quality control by maintaining standards during transportation and storage, formal screening and guidelines for pasteurisation of donor breast milk. Unfortunately these standards are not met when mothers freely share breast milk on social media. We cannot ignore the risks that are associated with feeding babies unscreened or unpasteurised donor breast milk, and this poses similar risks to those of blood products. See next page for guidelines for how to donate breast milk or pasteurise your own at home! 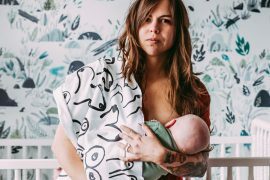 Breastfeeding Beyond the First Year: Are There Any Benefits? Is Pregnancy Causing You Pain? Or is your baby unsettled? An Osteopath can help!